For new organisations and those seeking an alternative way of operating – one which brings more trust, less hierarchy and deeper engagement – a peer approach offers the most creative, innovative, challenging and unpredictable way of working. Oasis itself is a peer-based experiment that has been operating for over 25 years. Our not-for-profit enterprise is built around the peer principle, individual and shared accountability and consensual decision making. The peer principle is the foundation of all authentic and genuine human meeting. People working as peers work from a basis of mutuality and challenge – that includes conflict and opposition as well as joint problem-solving. Organisations are being challenged to look outside their own context and foster leadership throughout their organisation rather than simply at the ‘top’. This calls for a shift to co-creative and collaborative approaches so that effective and timely decisions can be taken by more people, more frequently, in more places. The need for more people to be part of the leadership of the future requires a shift in how we unleash human potential. This need is matched by individuals wanting to have more influence. If an organisation’s vision, direction of travel and culture encourages inspiration, engagement, empowerment and connectedness, then the need to manage, monitor and control falls away. The cumbersome governance mechanism of hierarchical management can be replaced by governance through values, enabling people to become the change they wish to see. Each of us has the capacity to learn. We have know-how beyond the traditional academic conceptual knowing. Many real-world practices are best learned from those engaged in doing them. Peer-based learning challenges how power is held and used. It promotes the exercise of power with people rather than over them. Peer-based approaches encourage people to be more self-aware, self-initiating, self-managing and as a result more able to use power appropriately and with awareness. Oasis’s pioneering human relations approach to peer learning is called Whole Person Learning. Rather than starting with the concept or information, Whole Person Learning starts from where you are, working with your questions, experiences, intentions and feelings. It calls for more of the person to be engaged in order to access deeper learning and apply effective practice. 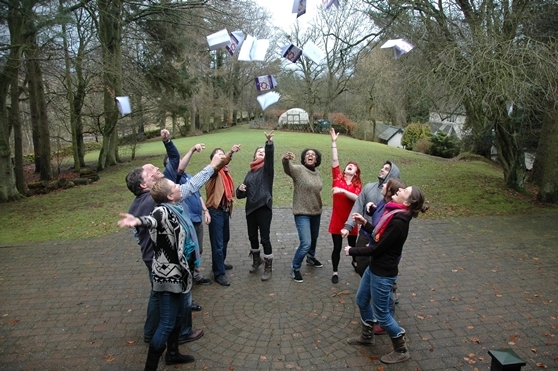 Whole Person Learning puts the learner at the heart of their own learning, seeking to bring more of themselves to the learning process, whilst remaining connected to the values and direction of the whole. These kinds of approaches are rarely found in business organisations and educational settings but are becoming more acceptable and sought after. Someone who expects hierarchical-based approaches requires support and orientation to move to ones that are peer-based. However, once the shift is made, benefits include greater accountability, responsibility, human relations skills, openness and transparency. A key aspect for effective peer-based working is establishing an organisational culture that fosters diversity, self-initiation, accountability, straight talking, strategic thinking and creativity. As organisations develop this kind of values-led culture, the working environment becomes emotionally and mentally healthier. This helps unlock the creative potential within us. The PEER Works group is exploring what it means to be part of a peer organisation. Members tend to be social enterprises and include organisations that are not yet peer based and are exploring ways of establishing more peer-based working. They include YUMI, People and Planet, Seagulls, Cafe Direct Producers’ Foundation, Reclaim, Refugee Youth, Oasis, Core Music and The Junction. Former members include Inspiring Scotland and The Reader. This learning network provides mutual support and comes together each year for the PEER Works residential. The PEER Works group is also developing a wider PEER Working network so they can share their learning with a larger group of like-minded people. To find out more contact Nick Ellerby on 01937 541700 or by using the contact form.